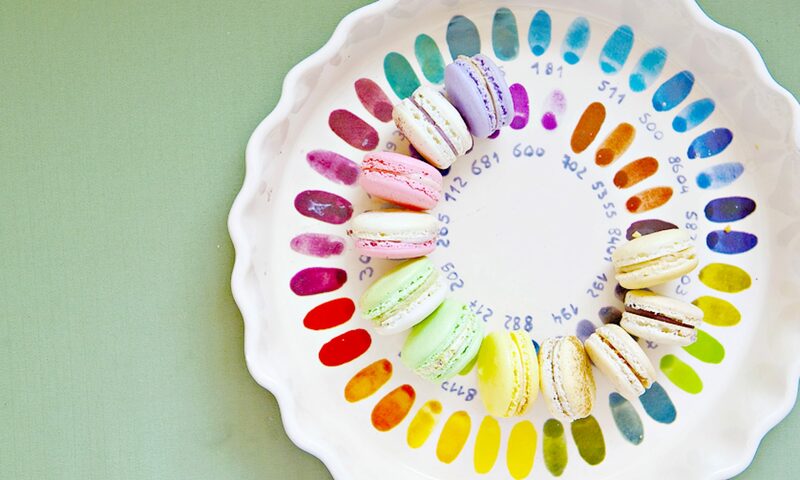 Macarons, or French Macaroons, are colorful cookie “sandwiches” with a deliciously unique texture. A great macaron has a delicate, smooth shell, a soft, fluffy interior and ruffled “feet” at the bottom. 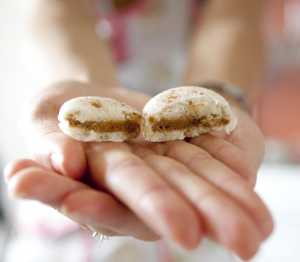 Since macarons are meringue-based cookies, they can be finicky and difficult to make. Connie has been teaching macarons in Edmonton for over 6 years. A home baker that got a bit carried away with macaron perfection, Connie spent much of 2010 making macarons daily and experimenting with recipe, ingredients, and technique. After many (many) “macawrongs”, Connie arrived at the method and recipe that is taught in her class today. From 2010 to 2013, she made macarons for farmers markets, taught macaron classes privately and at Eat Alberta. 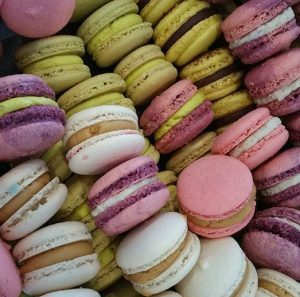 In 2013 she launched the website and started to host and teach her own macaron classes. 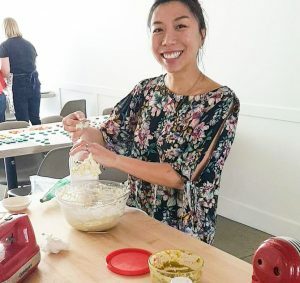 She believes that, with good guidance and hands-on experience of proper methodology, anyone of any skill level can make beautiful and delicious macarons. Mirabelle is Connie’s eldest daughter, and the original “sweet cookie” she ever made. Copyright © 2019 MIRABELLE MACARONS CLASSES.